The third edition of WhistlePig Boss Hog: The Independent, hit shelves summer of 2016. As with all Boss Hog releases, it's extremely limited, and the price reflects its scarcity. The Independent is the first rye whiskey ever finished in Hogshead barrels. These things are huge, 250 liter scotch casks refitted with American oak heads; guaranteed to lend characteristics of Scotch not found with previous releases. Nose: Warm and enticing with initial waves of deep spice, pine trees, and tobacco. It's well balanced with a slight sweetness, a mixture of vanilla and caramel. Taste: Upfront is this delicious mint with a refreshing blast of tea leaves. It's incredibly spicy, with rye, black pepper, cinnamon, and oak. The mouth-feel is thick, with a unique and pungent smoke. Finish: Warm and mouthwatering. The spice and smoky notes fade slowly into tobacco and oak. Conclusion: This is a fantastic whiskey! The finish with the Hogshead barrel adds a subtle Scotch smoke which provide additional layers of flavor. 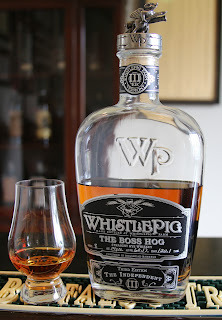 I don't enjoy spending an exorbitant amount on a single bottle, but for Boss Hog: The Independent, I suggest you treat yourself. I’m usually behind the curve as it relates to pop culture. I recently finished watching Parks and Recreation, an American political comedy which aired from 2009-2015 on NBC. It’s a great show with a variety of captivating personalities. One of my favorites, Ron Swanson (Nick Offerman), embodies a burly man in local government- he loves breakfast, privacy, and whisky. 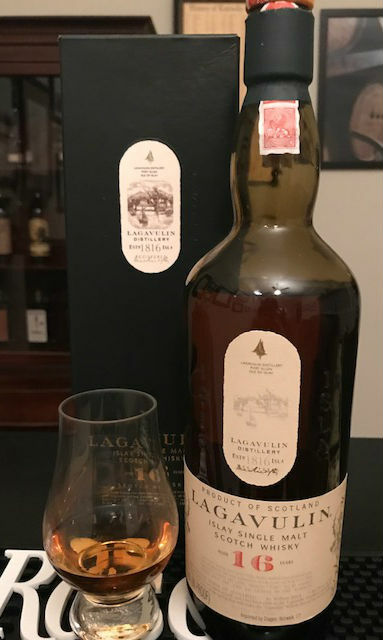 Lagavulin 16 is his drink of choice, so much so that he keeps a bottle under his office desk. He is a frequent drinker and is often sharing a dram among coworkers. I don’t have much experience with Scotch, but after Nick did an AMA (ask me anything) on Reddit a while back, citing he drinks Lavagulin in his personal life, I wanted to give it a try. Nose: A heavy wood smoke embraces you immediately. Caramel candies and dried fruits float from the glass, and are followed by lighter notes of leather and tobacco. Taste: Pungent and smoky. The mouthful is thick with flavors of peat, caramel, orange glaze, and crisp sea salt. Finish: Medium in length with a crisp, bonfire smokiness. Conclusion: The Lavagulin Distillery is located on the coast of the small Scottish island Islay [eye-la]. Aging the barrels there provides the whisky with intense flavors of crisp salt and a peaty smoke. While this is incredibly different from bourbon, it’s always nice to step outside ones comfort zone. As the great Ron Swanson once said, "put some alcohol in your mouth, to block the words from coming out".